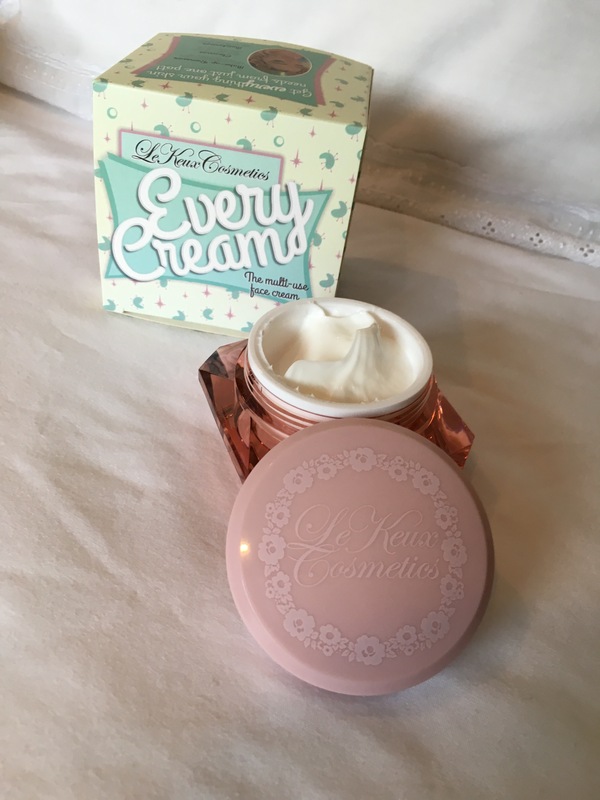 In this new section on my blog I will be reviewing anything you could find on my vanity table, starting with two gorgeous Le Keux products. Le Keux Cosmetics is an English company that manufactures cruelty free and paraben free cosmetics in the UK. 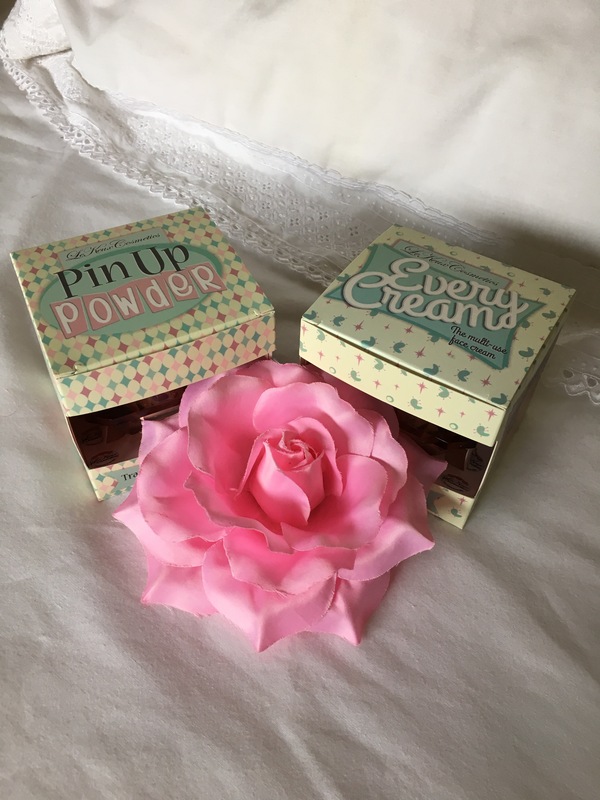 Lovely Lynsey Le Keux, boss-lady of Le Keux vintage salon and cosmetics sent me two products to try out, Pin Up Powder, a gorgeous soft finishing powder like they made in the olden days and Every Cream, a multi functional cream for hydrating, cleaning and removing make-up. The first thing that makes my vintage heart beat faster is of course the packaging. Already before unpacking the actual product I squealed a little over the boxes they came in, but that was nothing compared to the actual product packaging. 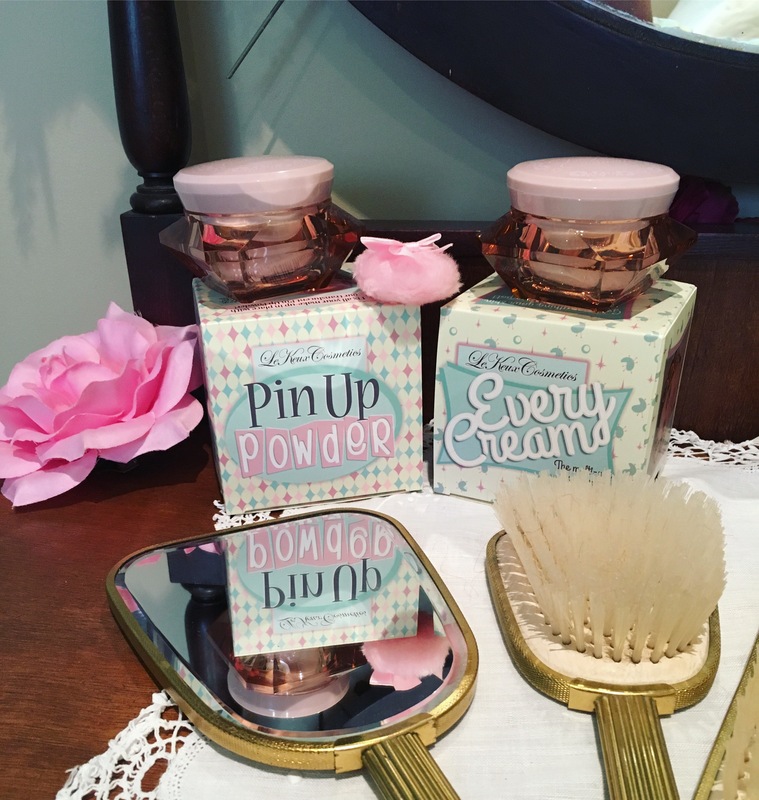 My goodness, these product are a little gem to have on your vanity table or in your bathroom. The gorgeous pink gemstone-like shaped jars are true eye catchers. But of course what really matters is what’s inside! So let me start with the Pin Up powder. 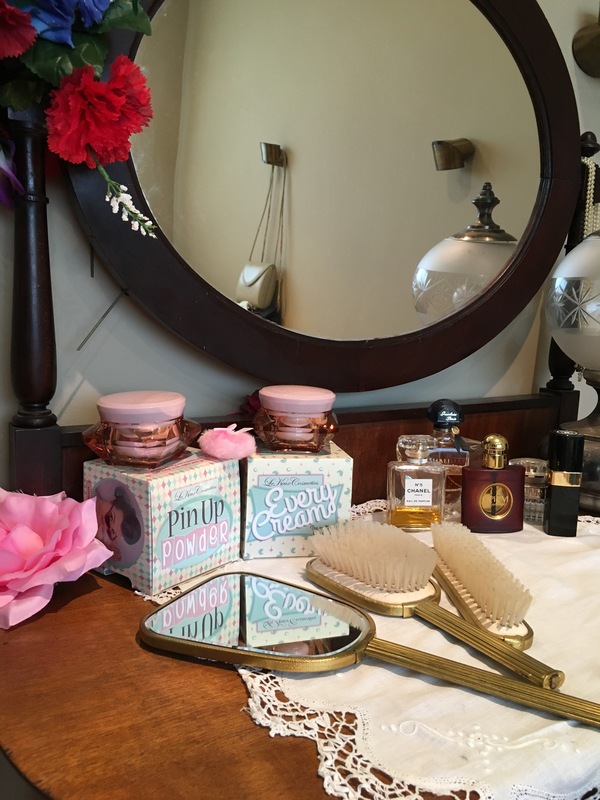 Next to perfume bottles with old fashioned tasseled pumps a powder with a fluffy powderpuff is one of these iconic images we have when we think about old fashioned cosmetics. 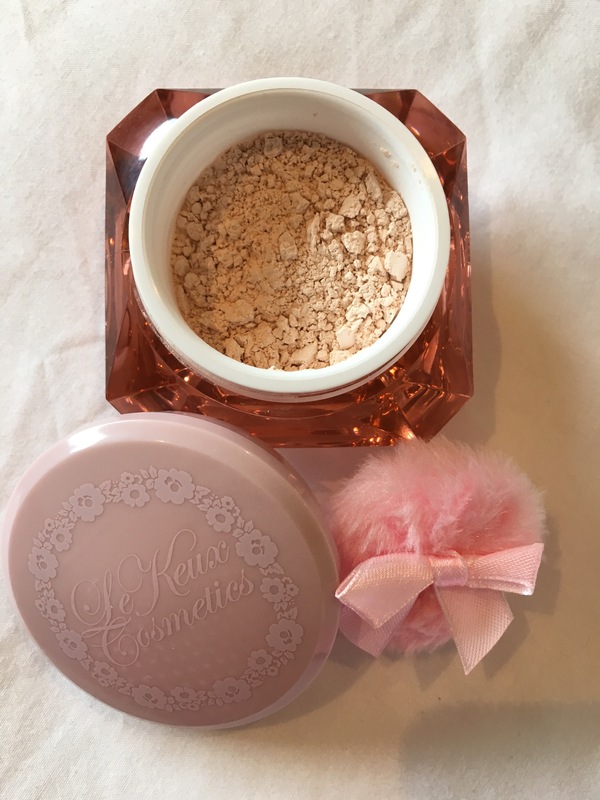 So Le Keux has got us covered with a silky smooth finishing powder with a little pink powderpuff. 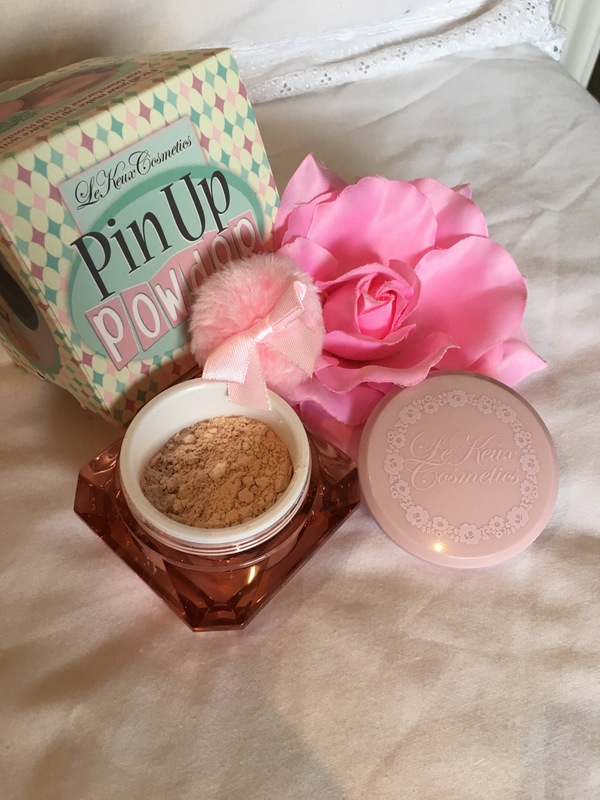 The powder is meant to fix your make-up by dusting all over your skin including brows, eyelids and lips. 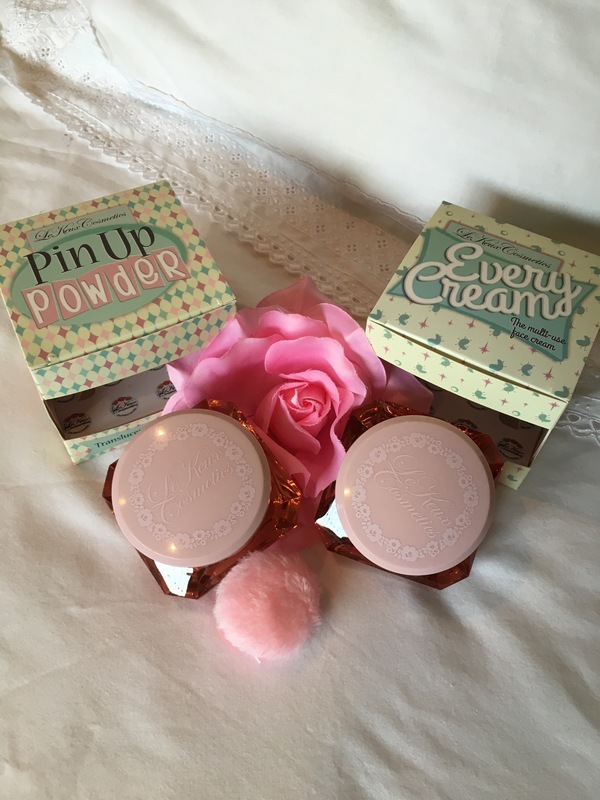 The powder looks pinkish tan in the pot but gives an amazing soft and translucent finish with a pretty glow. A little powderpuff is included, although it might be a bit little to my liking. I would have liked a bigger one, but I guess this powderpuff is the right size for dipping it in the powder. What makes this powder different from any other everyday powder is that I haven’t yet encountered a powder that is translucent even for my skintone without looking ghostly. It corrects the redness in my skin and keeps my make-up in place all day long. Another iconic old fashioned beauty product is Pond’s cold-cream that you could use in different ways. Le Keux has made a lovely scented modern day version. The Everyday Creme is a cleanser, make-up remover and moisturiser in one. 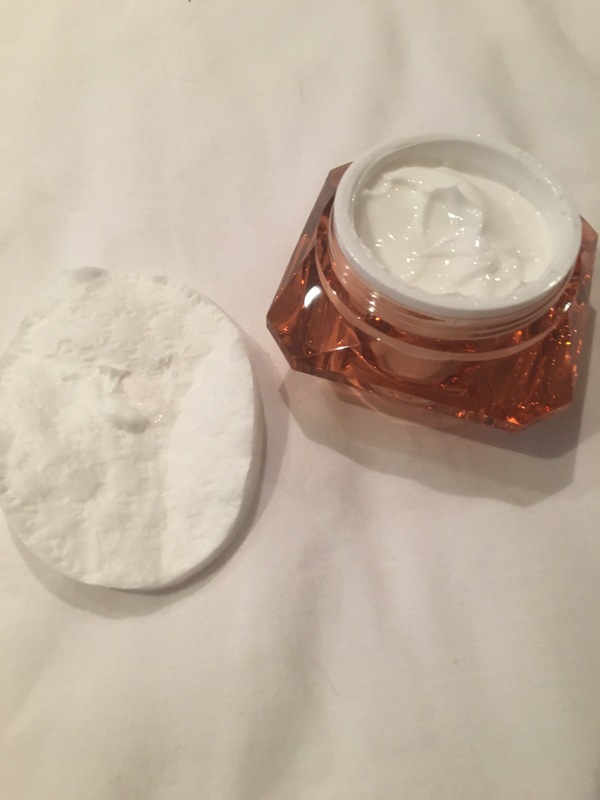 You can apply this thick cream on a cotton and wipe your make-up off or warm some cream between your hands and massage your face and remove with warm water for a morning cleanse. So after opening the jar the first thing that came to me was an amazing sultry vintage scent. If you would close your eyes you would imagine yourself in a 1950s beauty salon. I adore it. I like to leave some on my hands to moisturise after applying, and I catch myself sniffing the back of my hand after applying this on my face. In its use as a moisturiser, the cream is nice and full but not too heavy. My sensitive skin responds very well to it and it doesn’t make my make-up glide off my face. Then to put the cleansing part to the test. To really try it out I cleaned my full face day make-up easily. 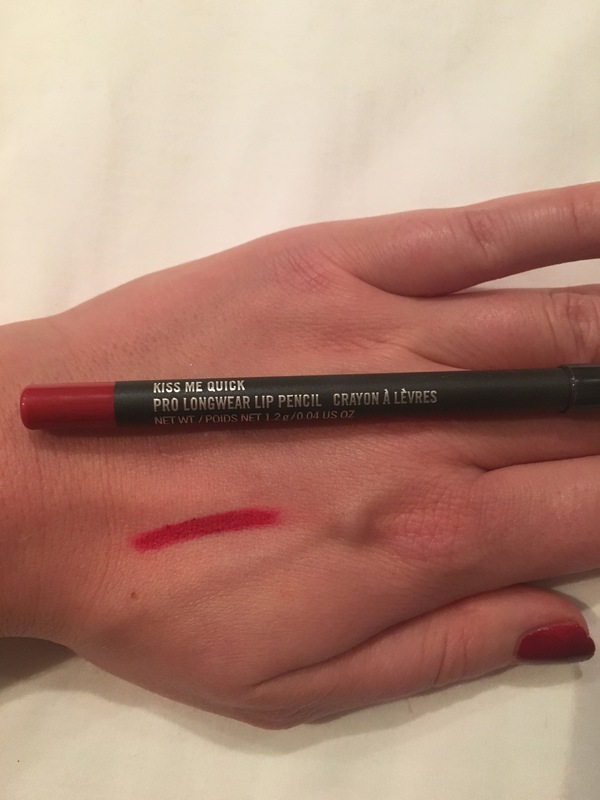 But a real challenge and easier to show you is some waterproof long lasting lip pencil. So I decided to put my MAC cosmetics ‘Kiss me quick’ pr0-long wear lip pencil to the test. 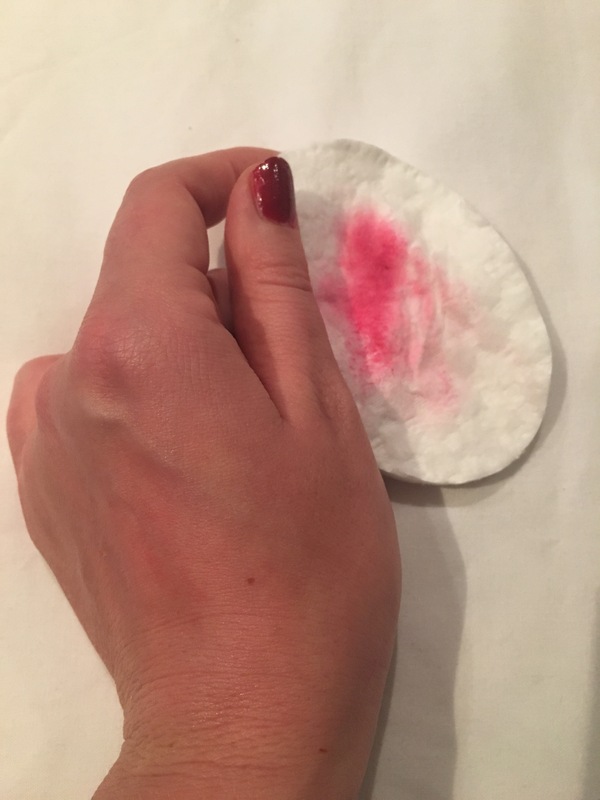 Without too much effort, with a little cream and a cotton I managed to clean off the thick swatch I made on the back of my hand. All and all I am quite impressed with these products and will definitely continue to use them. Did you get just as excited and would like to try these products? Guess what, there’s a lot more vintage inspired make-up and cosmetics by Le Keux cosmetics and I have a special discountcode for you for 10% off your order on http://www.lekeuxgirl.com! Use MISSGINGERTULIPS10 with your checkout. Soon on the blog, there will be a review of their lovely lip paints and eyeliner!